Got a big day tomorrow? Maybe it's your wedding or first day at your job. We know the frustration of having to deal with a bad skin just before any big events. Even if you have a good diet, a good sleep routine, healthy exercise but skin problems can easily occur to just about any one. If you are tired dealing with bad skin and want to know the answer for "how to get clear skin overnight?" then you are at the right place. The internet is full of information regarding this topic. But how would you know which method actually works? Do you even have the time to test them all out? Some of them claim that they 15 or 20 methods to get a clear looking skin overnight. But that just confuses the hell out of the readers. What you want is a clear-cut answer. Unfortunately, there is no single method that suits all skin type. That is why you need to first identify what type of skin you have. The methods I'm going to show are what works for me. I'll not guarantee that it'll be effective for all skin types. However, it'll still clear some blemishes and probably clear your skin over night. First things first. Give your skin a good night sleep. Sleeping helps the skin repair damage cells, creates new cells, replenish moisture. This process happens over time, but you can certainly speed up the process by applying some tricks. However, never go to sleep with your makeup on. It not only clogs your skin but also causes skin breakouts. You can use a cleansing wipe to remove dirt, oil and any extra makeup. Make sure you clean your face with a good face wash that suits your skin and also apply a face toner with a cotton pad before going to sleep. Cleaning a blemish skin overnight requires proper washing. You can scrub your skin the night before. Avoid scrubbing too much as it easily irritates skin can cause your skin to dry out quickly. To keep clear skin, wash twice a day. 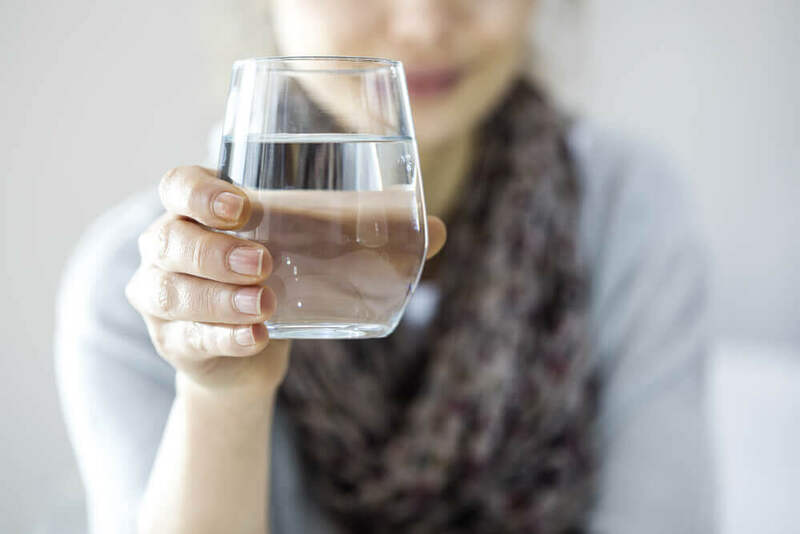 Too much than that can make your skin redder and irritated. A lot of people prefer a full mask. But I prefer natural treatments. If you want a lightning fast spot treatment, then follow these steps. 1/2 cup of plain steel cut oatmeal. Cook the oatmeal as you normally do. Let it cool down and then add lemon juice and egg. Stir gently. Apply the mixture on the dot overnight. You can even store them up for future use. Keep the leftover on the freeze. You can use those for up to a week. This method takes time but works like a charm. This is why this is my no.1 home remedy for getting a clear skin overnight. Tomatoes are the perfect acne fighter and honey is the perfect moisturizer for all skin types. 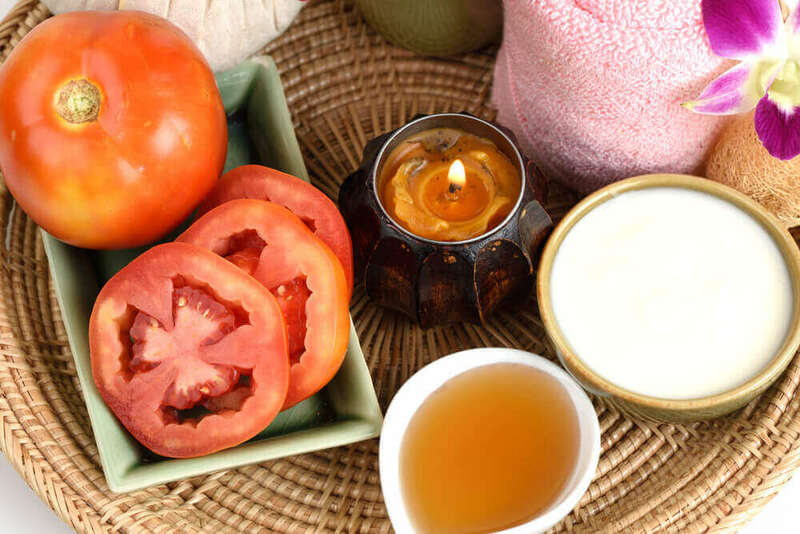 Tomatoes fight acne and honey moisturizes the skin and makes your skin super soft. Leave them overnight on your face if you don't mind feeling sticky. Make this mask if you want a glowing skin in the morning. If you don't want a messy situation, make sure you wrap a towel around you pull your hair back. 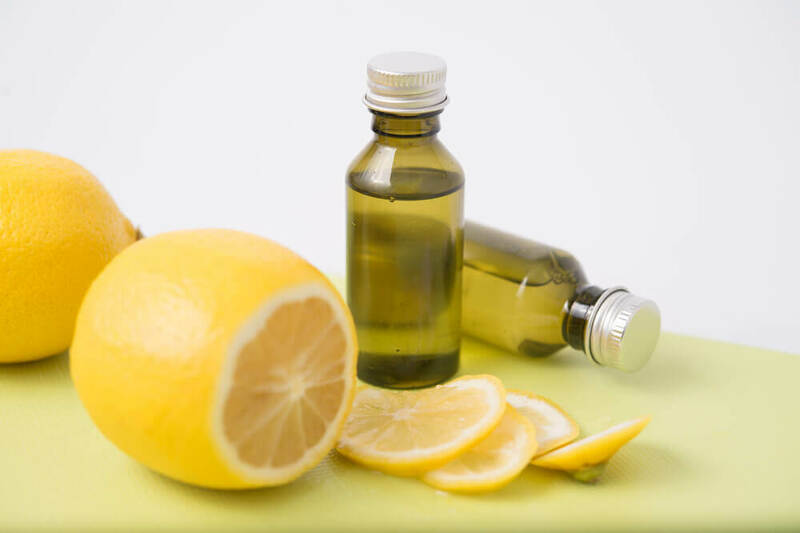 This is a small DIY serum that I use to remove under eye circles. Facial steaming is a great way to really brighten up your dark skin. The steam unclogged the pores all the dirt comes right off. It also makes the skin feel rejuvenated and leaves your skin feeling fresh. 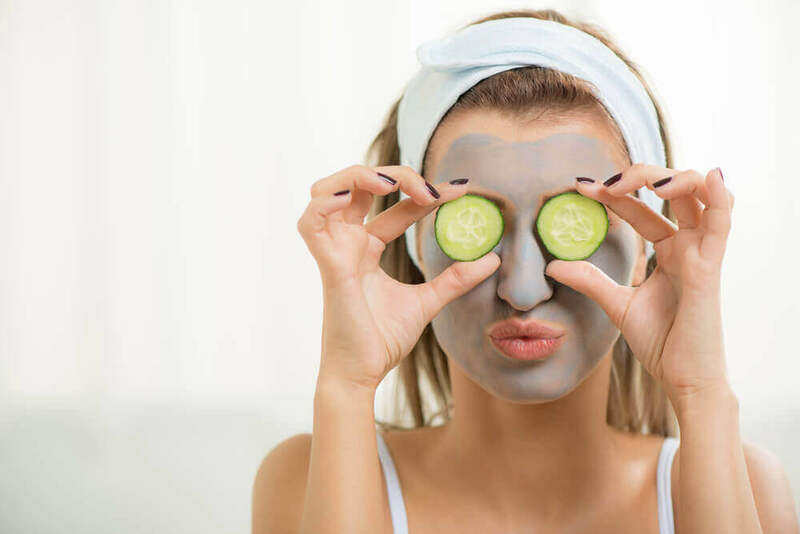 To get an even toned smooth skin, clean your face with face masks. You can choose to buy them or just make your own. DIY face masks also give good results. The start off by mixing yogurt with strawberries to make a super enriched face mask. This DIY face mask works better than most artificial face mask in the market. It also saves you a lot of money. This should be done on a regular basis. Other than drinking 8 - 9 glasses of water, you should also intake juicy foods like watermelon, grape, orange, pineapple etc. Make a mix fruit juice to get the most out of them. Don't just rely on expensive treatments. 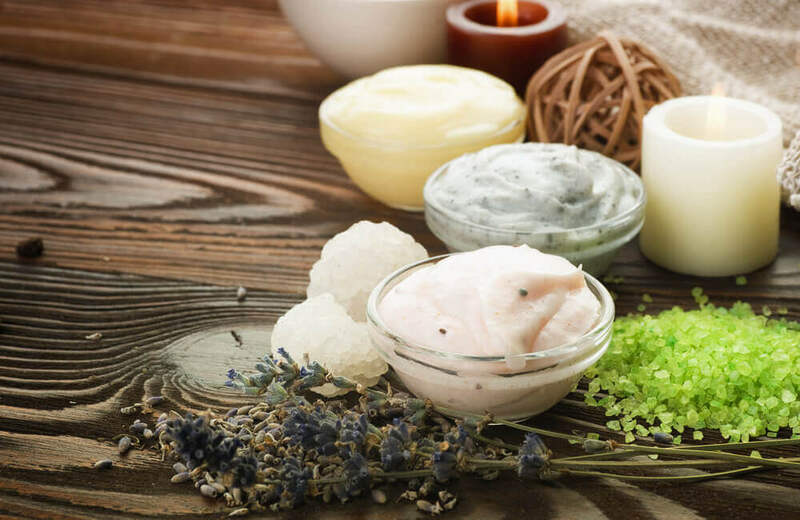 Make these all-natural treatments a part of your daily life. 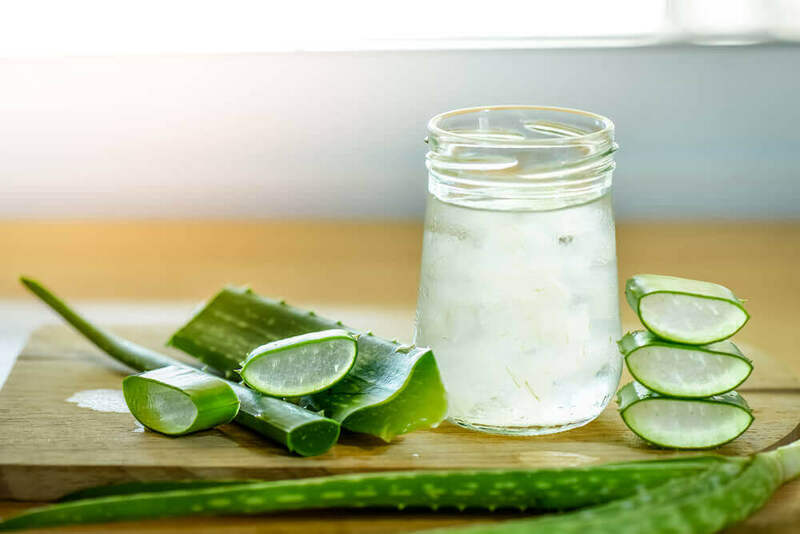 Aloe vera contains Aloe sin, a compound that controls the melanin production and makes your skin fairer. They are also rich in antioxidants. Cut open a fresh aloe leaf. Take a spoon and scoop of its gel. Apply it on your skin and leave it for 30 minutes. Repeat this procedure three to four times a day. All of these methods do seem like a long term process. But this is the reality. To achieve a clear skin overnight you need to follow these steps. There are no shortcuts for achieving a clear skin over night. If you want to actually lighten up your skin overnight than these natural process won't work that fast. You can opt for a temporary process though.But they have some risks and you should never use them. Hope this article helps and you found your answer on how to get a clear skin overnight.